After years of advocacy and a ruling by the PA Supreme Court in September, the General Assistance program is now up and running. This is a tremendous win for vulnerable people in Pennsylvania. Many former General Assistance recipients have been living with no income since 2012, when Republican legislators and Gov. Corbett eliminated the program. Now Republican state legislators are pushing to eliminate General Assistance again, and we need your help! Can you take five minutes to email your PA legislators in Harrisburg to protect General Assistance? If your Rep. is Tony DeLuca (Blawnox, O’Hara, Penn Hills, Verona and parts of Plum) he absolutely needs to hear from you. He is the only Democrat in the state legislature in support of eliminating General Assistance. General Assistance provides a small amount of cash support – about $200 per month – to a small, targeted population of Pennsylvanians in need of immediate help. If you know someone who would like to apply, here is more information about the application process. This support goes only to specific populations who need immediate and urgent assistance. They include people with disabilities who cannot work and may otherwise become homeless, people facing domestic violence, people who are being treated for drug or alcohol use disorder, and children who are being cared for by friends or neighbors. General Assistance helps people in crisis meet basic needs. It helps them pay rent, buy a winter coat, flee an abusive situation at home, or cover co-pays that allow them to get medical treatment. General Assistance typically functions as a loan. Many who qualify are ultimately approved for Social Security Disability. When this happens, the federal government pays the state back for those GA payments. These small cash payments – a maximum of $205/month in most counties – can keep people out of shelters, hospitals, and foster care by meeting their most urgent needs. GA recipients spend their benefits locally, supporting communities across PA. Because the federal government often reimburses the state for these payments, it costs relatively little. Pennsylvania Can’t Afford to Eliminate GA! Take action NOW! 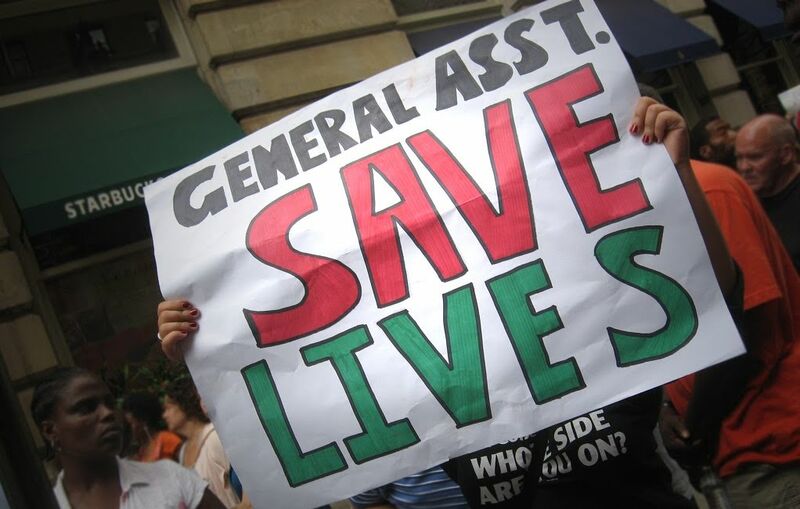 General Assistance is a lifeline to populations that need temporary help to keep them out of more expensive programs and dangerous situations. Please contact your Pennsylvania elected officials TODAY to urge them to preserve this critical program.